Tauntaun Sleeping Bag a Reality? 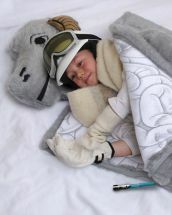 Life is delicious when a joke can inspire a great idea like Thinkgeek's April Fools joke of a Tauntaun sleeping bag. I and many others would love to have this as an actual product though it does not exist yet. Thankfully because of the high demand they are working on having "...it available in time for the holidays, or at latest, the 30th anniversary of The Empire Strikes Back next spring." Said Shane Peterman Thinkgeek PR. The Tauntaun scene was so touching in Empire Strikes Back when Han saves Luke by making a shelter to keep them safe from the elements. I just imagine the wintery harsh winds of icy Hoth and how warm and snugly it would be to be wrapped up in the Tauntaun sleeping bag. Come on George Lucas give them the green light winter is on it's way. While we wait, what about making this into an awesome crafting project! 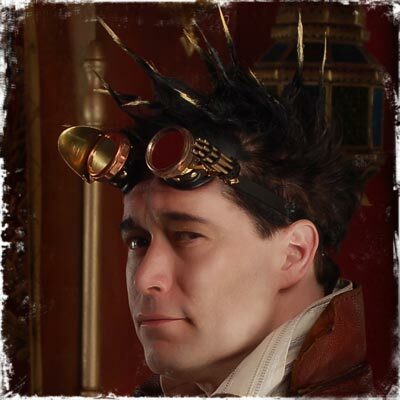 Every airship captain needs a well made pair of goggles, but not every captain has the charm and panache to pull off a successful negotiation. So for those rare instances that "negotiations are hard", because no self respecting airship pirate negotiates often, the kind cunning pirates over at the HMS Ophelia have brought us the captain's goggles. The captain's goggles are made from brass and leather, with an attached Gatling gun for extra leverage in those moments of hard negotiating. Check the link below to pick up a pair for yourself. Captain's Goggles for when negotiations are hard. The Empire never looks so cute! 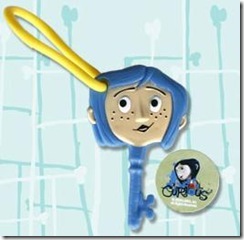 Coraline Toys At Carl's Jr.
Coraline's Key: Plastic key with what they call an I.D. insert which is basically a pog. 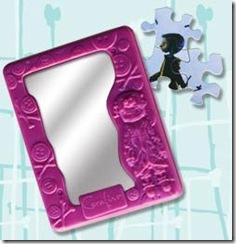 Magic Mirror: A mirror box with a puzzle inside. 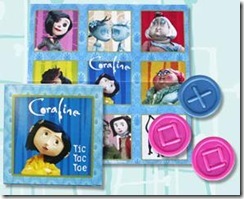 Tic Tac Toe: Which includes a paper mat showing the characters and plastic game pieces that look like buttons. War Of The Worlds: (My personal favorite.) 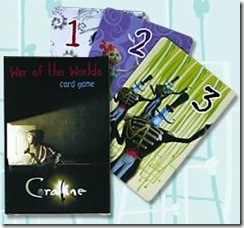 A card game with characters on each card. I would love one of these on my desktop. The Clockwork Man is from Doctor Who series 2 "The Girl in the Fireplace". This is another one of the great Doctor Who episodes. Get your very own Doctor Who Clockwork Man. Inventor Spot has up a post on 10 Best Fun Star Wars Toys For True Fans. I have seen most of them, and in fact many of them have been featured on dashPunk in the past. 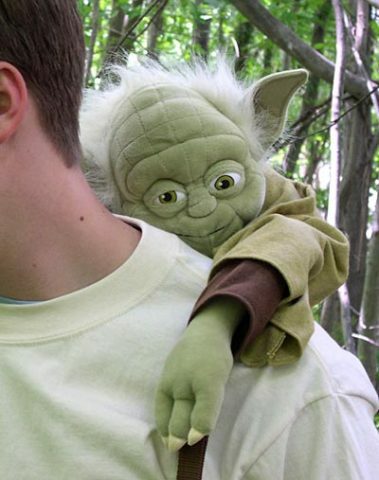 I am not sure how I missed they Yoda backpack, but I want one.